Time To Action Your Ideas! Jeztechs Sunshine Coast Website Design helps businesses both large and small to build and develop an Online Web Presence. Let me build your responsive website to represent your company exactly the way you want it. Need your WordPress install, theme files or plugins updating, pages editing or redesigning…we can help. From a simple professional small business site to a fully blown WordPress website, no job is too small. Professional WordPress websites for businesses and individuals wishing to sell goods via an eCommerce store. 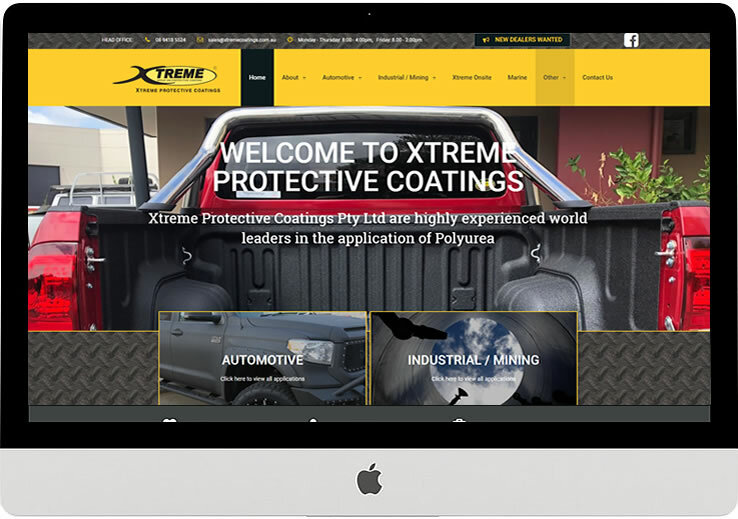 Great looking websites on mobile devices is a must now, we make sure your web pages work on all layouts. Adding free or premium WordPress plugins extend the functionality and usability of your website. Is your WordPress site currently hosting on a slow server, I offer fast (very fast) Australian hosting competitively priced. We can Manage your WordPress back up routine and help keeping it secure as possible from internet nasties. Jeztechs Web Studio are here during normal office hours for friendly support, advice and WordPress tutoring. A website that will allow itself to move and develop with the ever changing Web. The internet is a fast changing beast that forever demands new coding practices and standards, search engines that are far clever than you can imagine and website trends can come and go almost like the seasons. Keeping up with this constant change is going to leave your site behind if it cannot sustain these changes. Jeztechs builds Websites using WordPress as its core, additional addons we implement are industry standard meaning they are constantly updated to meet future changes…your website wont be rendered useless in a few years time! 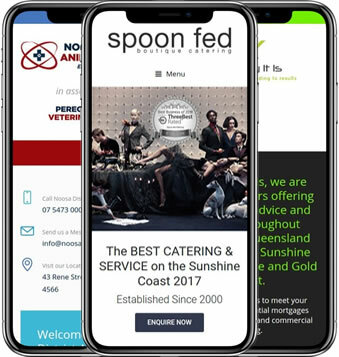 Making sure your website looks good on mobiles and tablets these days is a necessity for both Google ranking and user experience, our sites come fully tested and optimised. My service is reliable, professional and punctual...I call you back when promised and keep to deadlines. I deliver agency standard work at freelance rates. Nothing is 100% secure including government sites... we do however make it as difficult as possible for internet nasties to break your site including backups. Your site needs to be fast loading and always online. All new sites are hosted on a custom built managed WordPress platform to deliver lightning fast speeds. Some Questions Answered and a contact form to start us working together. How much does a Website cost. The most asked question in my inbox! Naturally this is a hard question to answer without us discussing your website requirements, scale of project and expectations. Please do use my contact form to request a quote if you have a descriptive brief of requirements…I will get back to you quicker than you might expect. Alternatively give me a call and we can have a quick discussion. Why should I choose you to develop my Website. WordPress and website design is my passion, I have been helping Businesses to forge an internet presence for many years. As I am a small agency you will be dealing with just one person (me funnily enough) you will not be pushed around to a consortium of techie speaking developers…hence why my prized clients value my service. How long does it take to develop a Website. This all depends on the amount/type of content and interactive elements you are wanting to build within the site. This includes such things as quantity of pages along with the content within them, interactive elements such as forms, eCommerce and membership elements. Its not an easy answer but having everything to begin usually takes between 1 and 2 months including testing. A simple 3 page site for instance would expect to be completed within a week assuming all discussions are completed ready to begin and all content is available. How easy will I be able to edit my Website. This is one of the reasons why I choose to design websites on the WordPress platform…ease of use for the end user. If you are familiar with using programs such as Microsoft Word or any desktop application then WordPress is a breeze. You will be given a url to login into the WordPress back end (dashboard), choose your pages or element to edit…you are then faced with an editing window or a configuration box depending on the type of edit you are making, easy. There are simply 100’s of video tutorials out there as well as full support from myself. Do you offer SEO and Marketing services. I will discuss the main princibles of SEO (Search Engine Optimisation) to you so you have a better understing of how the site should be optimised ready to go live. During the website construction I put all the Google SEO best practices into place, I do not however offer link building and rich keyword copy content. I have local contacts that specialise in the SEO and optimisation services that I can put you in contact with if required. What happens once the site is finished and live. Don’t worry, you wont be left in the dark. As the site goes live I will go through everything you need to know such as backing up, security and editing. You might have had Google Analytics installed so you can track your visitors and check stats. I will also be around during normal office hours to handle your support queries if needed. Do you only offer to build Websites. No, I also manage and update WordPress sites. 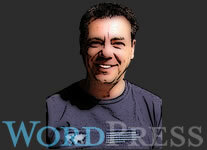 I offer monthly plans that includes updating pages, plugins and core files. Please feel free to contact me to discuss anyway I can take away the burden from maintaining your own site. Do I have to host with you. Firstly I do not resell hosting packages onto clients and you are free to use your own/existing host if required. The reason I prefer one particular host is because it is specifically optimised for WordPress and has been designed from the ground up to make WordPress as fast as possible. Support is serviced 24/7 and includes automated patching, backups/monitoring and caching. Remember, WordPress takes a lot of resources than a non CMS static site, the server needs to be able to handle all the processes WordPress uses. Let me know if you need more information and prices. Looking to become one of my latest prized clients? Great! please fill in your details below and I will get back to you ASP so we can start working together.